The Airwheel E3 is the foldable electric scooter of the future. Folding scooters are compact as it is, but the E3 pushes the envelope! It folds into an extremely small 18.1” x 15.7” x 14.6” and even comes with a carrying luggage to pull it around. 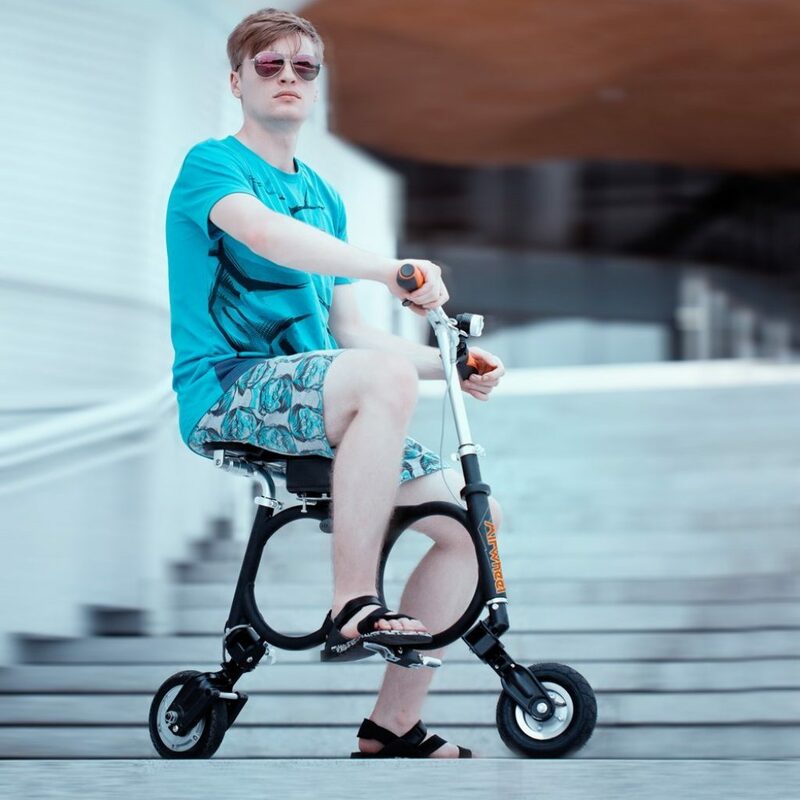 The Airwheel brand (smart scooters and skateboards) has been in the market since 2004 and has since served over 30 million customers in 168 countries. Quality battery Quick-charge Longer service life. E6 is coupled with car-level Li-ion battery set,light and delicate.Also,an USB port is added to the battery.Internationally branded Li-ion battery guarantees sufficient power supplyModular battery design to fulfil infinite range External modular battery design enables riders to change the battery,to upgrade range and to maintain the battery easily. Battery is 248WH. 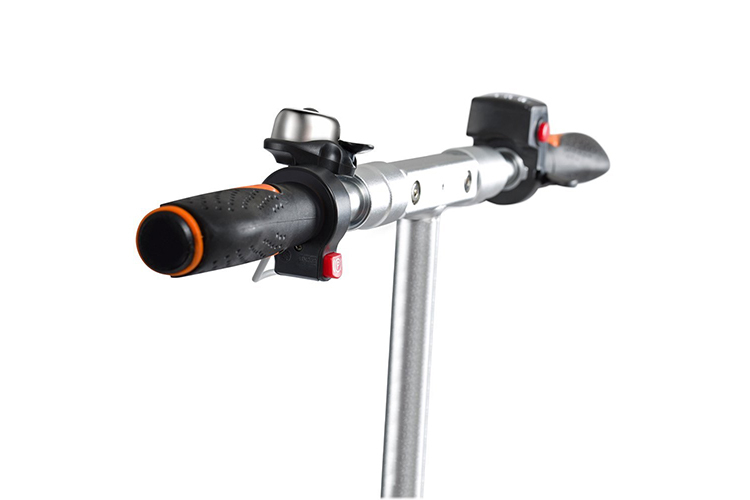 Airwheel E6 selects the rubber saddle,instead of sponge cushion.Based on a large amount of riding data analysis,the saddle of Airwheel E6 is in left-right design with balanced force and good ventilation.Patented body design. Participate in Red Dot Award.Light and stable X shaped design enables the 14.15KG body to bear 100KG load,a remarkable combination of structure and material. 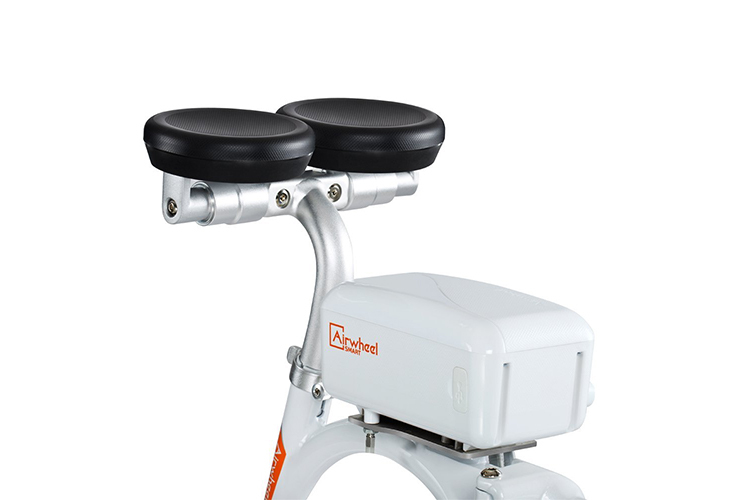 C-AT Vehicle Control System, APP Functions, Airwheel Customized High Performance Hub Motor 300W powerful customized high performance hub motor, integrated with the electrical power drive system, transmission device and the electrical braking system, offers more powerful and stable force. 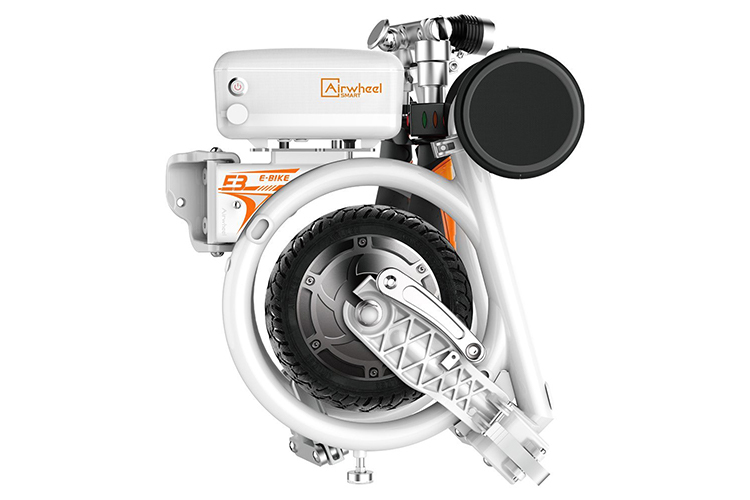 The E3 can run at speeds of up to 12 mph and distances of up to 15 miles. It can climb inclines of up to 15 degrees. 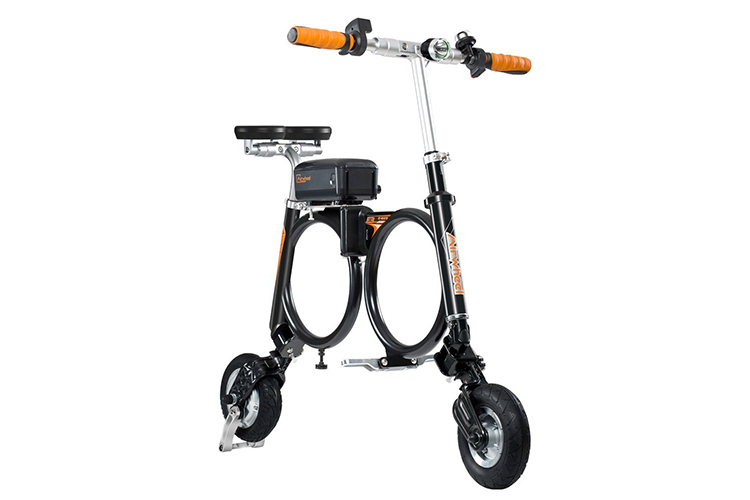 Notable features include 8” tires, a multifunctional handlebar equipped with an EBS braking system and a USB port. Features you would expect from a bike such as a bell, headlight and phone holder also come with this model. Maximum load capacity for the E3 is 220 lbs. It’s always love at first sight for customers who purchase the Airwheel E3. 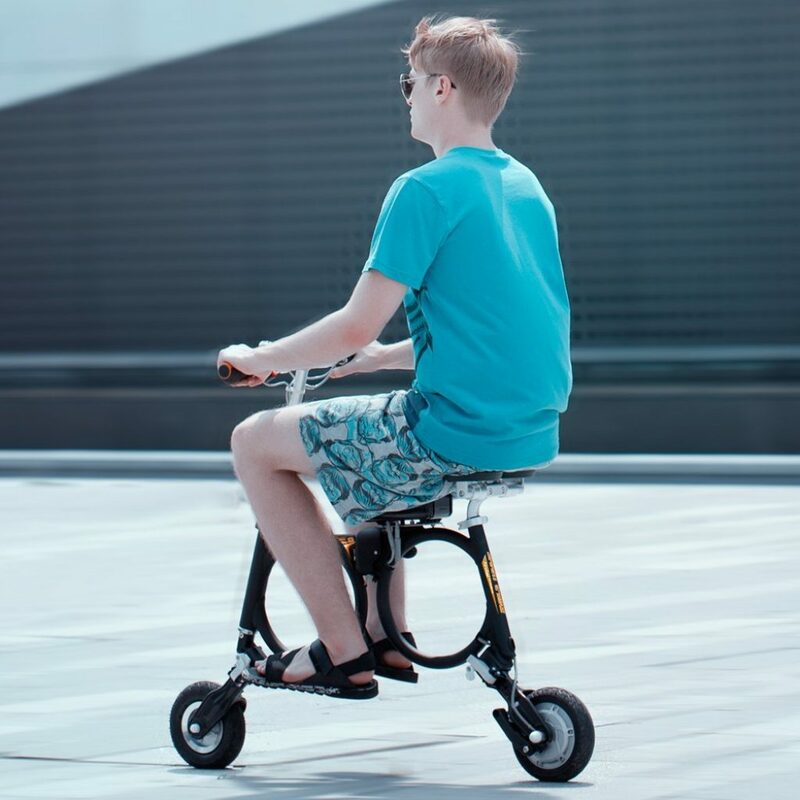 It is designed well, folds to a compact size and comes with all the bells and whistles you’d expect from a foldable e-scooter. Customers also rave about the comfortable rubber saddle. It has an in left-right design that provides good balance and ventilation. 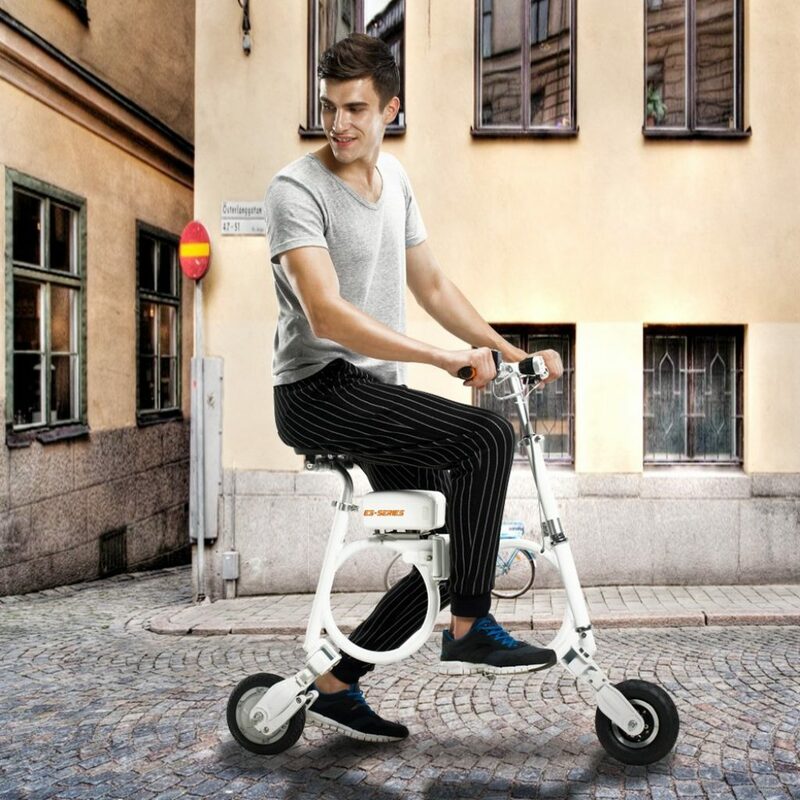 Other e-scooters provide longer mileage but fall short on seat comfort. The E3 took care of that by designing a breakthrough saddle that lets you ride in comfort for hours on end. The Airwheel E3 is your folding e-scooter of the future. 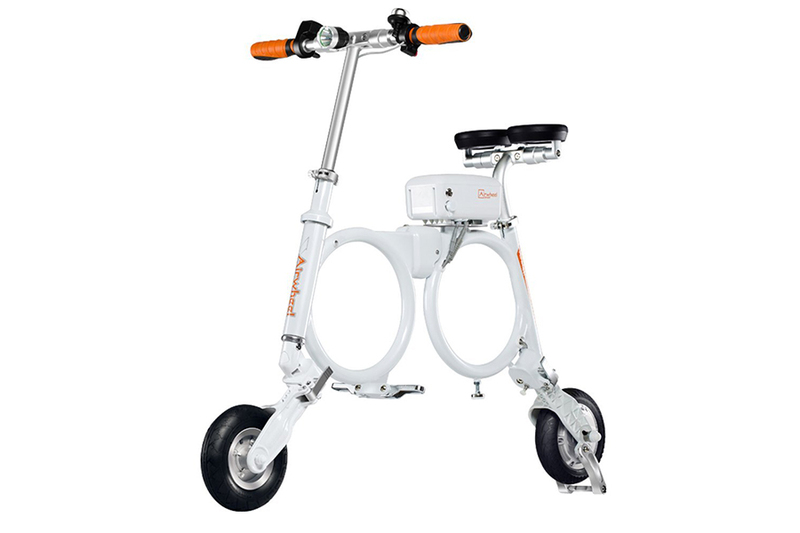 It folds to a very compact size, provides a smooth, comfortable ride and looks breathtaking on the road.